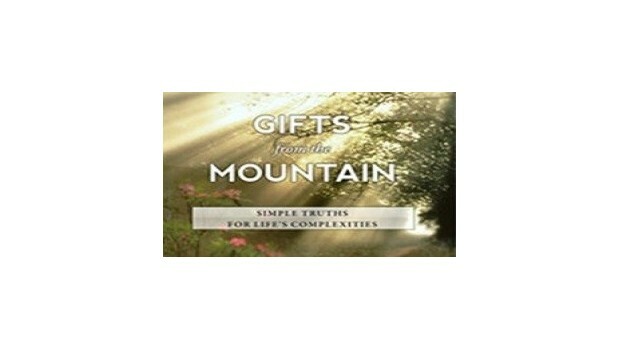 Gifts from the Mountain is a full-length program that helps viewers better handle everyday challenges in life and at work. Author Eileen McDargh discusses how her backpacking trips around the world forced her to slow down, consider her surroundings, and get away from the demands of an otherwise hectic life. The lessons she learned helped her become more productive, positive, and purposeful at home and in the workplace. This beautiful and insightful film discusses some fundamental truths to help us deal with lifes complexities by enjoying the journey. Gifts is based off of the book Gifts from the Mountain, winner of the Benjamin Franklin Gold Award. Eileen McDargh is a certified speaking professional (CSP) and her election into the CPAE Speaker Hall of Fame places her among the top 3% of speakers in the United States. She recently completed two three-year terms on the Board of Directors of the National Speakers Association and also currently sits on an advisory board for Take Back Your Time, a North American initiative for work/life integration practices.